Hernán De Leoó, the interim presiding magistrate of the Supreme Court of Justice. Anti-corruption activist Magaly Castillo, who heads the Catholic Church backed Alianza Pro Justicia, opines that it was appropriate under the circumstances. Anti-corruption activist and law professor Miguel Antonio Bernal notes that the circumstances, which include the legislature’s 52-18 rejection of anti-corruption prosecutor Zuleyka Moore as a high court nominee, have to be taken as terrible disgrace by the thousands of people who work at the Public Ministry. (President Varela did not consult with the public or the Colegio Nacional de Abogados about his two rejected Supreme Court nominations, but he did vet Moore with all of the senior prosecutors at the Ministerio Publico.) From the judiciary we get assurances that all is functioning normally. Normally, though, the president and legislature had until December 31 to agree on nominees to replace two magistrates whose terms were expiring, the penal bench’s Oydén Ortega and the civil bench’s Jerónimo Mejía, then the first thing in January the high court was supposed to meet with the new members and choose a presiding magistrate and the chiefs of the penal, civil and administrative benches. But those process did not happen, Mejía and Ortega remain on the bench until replacements are duly nominated and approved and meanwhile the corruption firestorm that has been sweeping over the entire Panamanian body politic centers over the courts at the moment with not only high court controversies but a lower court judge facing trial for corruption in one of the highest profile of all the Martinelli corruption cases, the one that could lead to a murder charge against the former president. President Juan Carlos Varela is also talking in calm tones as he indicates that he’s in no hurry to fill the Supreme Court vacancies. “Let’s let people enjoy the dry season and Carnival in peace,” he said at a January 31 ribbon cutting for a newly paved section of the Pan-American Highway in Darien. A cynical argument might be made for the proposition that Panamanian politics has always operated on the principles of bribery and betrayal and will continue to do so. There is plenty of historical evidence for that, albeit that outlying personalities or events like coups, invasions and assassinations have from time to time disrupted the order. But what then? A president with only a 16-seat party caucus in the 70-member National Assembly would be expected to buy the rest of the votes he needs, a procedure with precedent in this country’s history. But Varela’s erstwhile chief of staff and two other witnesses say that he took millions of dollars from Odebrecht and the process of purchasing another 20 votes for ratification could probably not pass undetected and undenounced. If executive, legislative, judicial and prosecutorial branches of government may all pale before the institution of bribery, the politics of corruption are also broken down at the moment. At least they probably are insofar as a president’s ability to bribe the legislature to approve Supreme Court nominees. So José Ayú Prado resigned as Supreme Court presiding magistrate and as head of the penal bench. He’s not leaving the court altogether. The remaining nine magistrates, Ortega and Mejía among them, chose Harnán De León as the interim presiding magistrate and Harry Díaz as the interim head of the penal bench. Courts, prosecutors and police give their assurances that everything is proceeding as normal. Perhaps the subtext is that any maleantes who have ideas of an extra gangster Christmas should get those notions out of their heads. We are not seeing more than the usual disorder on the streets. Meanwhile another case with far-reaching political implications has erupted in judicial scandal. On January 16 a citizen came forward to prosecutors with several folders of files said to have been found alongside the highway in front of the hardscrabble Arraijan neighborhood of Loma Cova. These were the missing parts of the High Spirit financial fraud case, which had been delayed by the files’ absence. High Spirit was the name of a special account that former president Ricardo Martinelli maintained at the now closed by authorities Financial Pacific brokerage. After eventual intervention by the Securities Markets Superintendency (SMV), Financial Pacific hired criminals to erase its more sensitive electronic files. But the High Spirit account was about international transactions that would register in several countries. Bottom line, Martinelli was running a pump and dump insider trading in gold mine stock shares swindle. The shares were of Petaquilla Minerals, the parent company of Petaquilla Gold, which had a mine, now a toxic hole in the ground, in northern Cocle province. Originally owned and hyped by convicted drug dealer and ousted at the behest of his own Liberal Party governor of Cocle Richard Fifer, the entire premise of that mine was that it might show a profit if environmental and labor laws were disregarded, but on the financial side the word “gold” attracts a steady stream of sucker investors. In addition to the uncleaned mess Fifer, controlling owner prior to and after Martinelli’s insider trading scheme, is facing criminal charges related to the miners’ contributions to the Social Security Fund having been deducted from their paychecks and appropriated by management. The insider trading was revealed in 2012, and SMV senior analyst Vernon Ramos was investigating the case. He was disappeared that November. 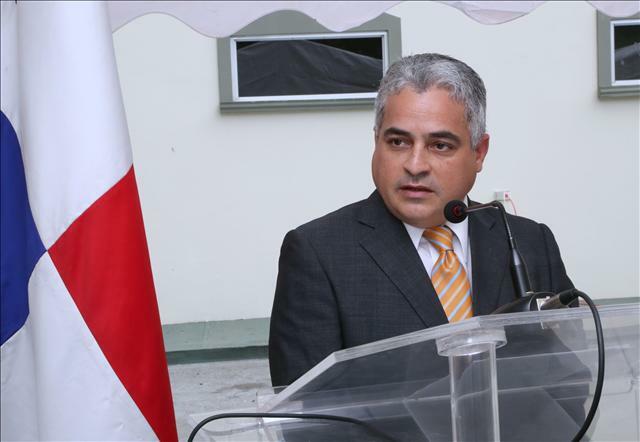 Shortly afterwards now imprisoned then high court magistrate Alejandro Moncada Luna quashed the investigation, maintaining that insider trading on stock shares traded on foreign exchanges is not a crime in Panama. Financial Pacific, like Pipo Virzi’s associated Banco Universal — also since closed by authorities here — has something of a clearing house for many sorts of financial crimes and after Martinelli left office that brokerage was shut down and investigations started or were restarted. As to the former president, of course, only the Supreme Court has jurisdiction to investigate. However, there would have been accomplices in the High Spririt scheme and the case against them would be via the ordinary courts and prosecutors. People convicted or about to be convicted might make deals with prosecutors in exchange for their testimony, and at the top of the list of High Spirit things that prosecutors should like to know are the details of the disappearance and probable murder of Vernon Ramos. In any case, with pending motions for bail and to throw out the entire High Spirit case on a statute of limitations theory, the file went missing. But it was found by a motorist and taken to prosecutors. Judge Felipe Fuentes López said that it was an error by an assistant who was getting ready for a February office move by transporting files on the back of a motorcycle. Prosecutors and the Supreme Court — which has superintending control over lower court judges — don’t buy it. The initial charge was that those documents were under seal and that by putting them in the hands of someone else to be taken out of the courthouse for whatever purpose was a violation of the law regarding the handling of sealed court documents. In preliminary moves Fuentes has been suspended from the bench. Decisions on whether the case goes to trial, and whether Fuentes will be out on bail or behind bars if that case progresses, are pending before Judge América Vergara. By accepting the imputation of Fuentes as a suspect in that narrow case, Vergara opened a full investigation that could lead to far more serious charges and other defendants. Thus, not even taking into account the many pending or done and controversial rulings in dozens of political corruption cases, the Supreme Court is irregular these days and it will be weeks or months before any move is made to change that. The rest of the court system and the prosecutors of the Public Ministry have been under clouds of suspicion for some time. Now Ricardo Martinelli’s probable extradition from Miami may bring him to trial before a high court with temporary magistrates and short-handed in with respect to suplentes (alternate magistrates).